Wow! I don't know where the last week or so has gone. It's been super busy! Anyway, I had a couple giveaways going on the blog, so I thought it was about time I announced some winners! 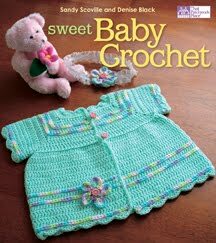 First up, is the giveaway for the Sweet Baby Crochet book I reviewed the other week. The Random Number Generator tells me that InJuneau has won!! Congrats! Please check your Rav mailbox! 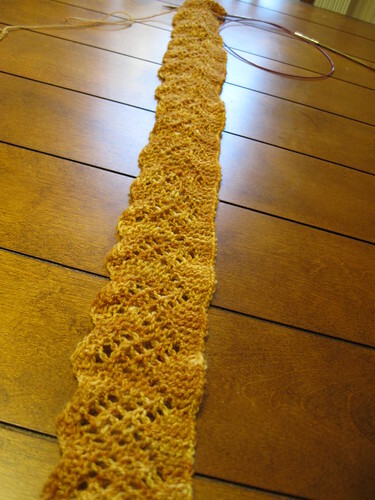 Next up, was a copy of my new pattern plus a skein of yarn to knit it with. Again, I went with the random number generator. For this giveaway the winner is. . . .
busymom on Rav! Congrats! Please check your Rav mailbox for details. Thanks so much to everyone for stopping by the blog. Whether you popped in for the giveaway or you read my blog all the time, I really appreciate all of you. Makes the blogging totally worth it. Sad you didn't win? 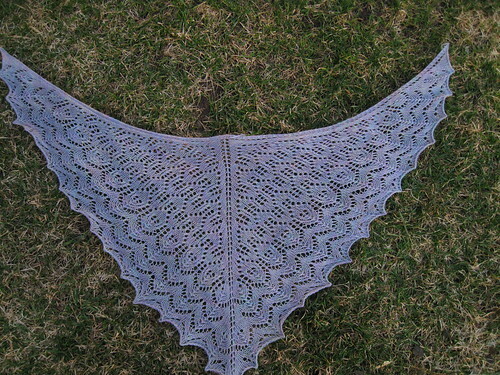 Well, from now until Monday, Dec. 6th, the Moor Shawl Pattern is only $4.00 in my Ravelry shop. That's right! A whole $2 off! Just enter the coupon code "knittinglikecrazy" while checking out to apply the discount! Here's what's up for grabs: one skein of Knitting Like Crazy Insanity Sock Yarn (the winner can choose either something currently on the etsy site, or I can custom dye a skein for you) and a copy of my new Moor Shawl Pattern! So what do you have to do to be entered into the giveaway? It's easy: just leave a comment on this blog post! All comments posted between now and 11/26 at 5pm will be entered into a random drawing. When leaving a comment, please make sure to leave a link to your blog or your Ravelry name or some way for me to figure out who you are should you win. 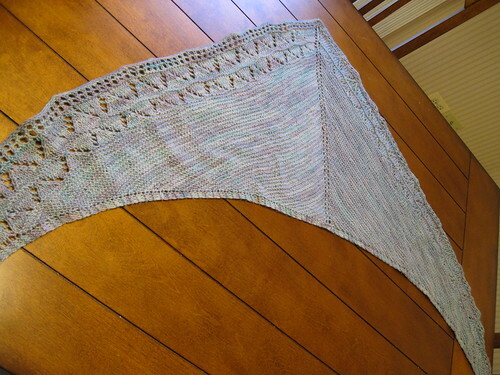 Back at the beginning of the year, I took a design your own shawl class with Stefanie Japel. 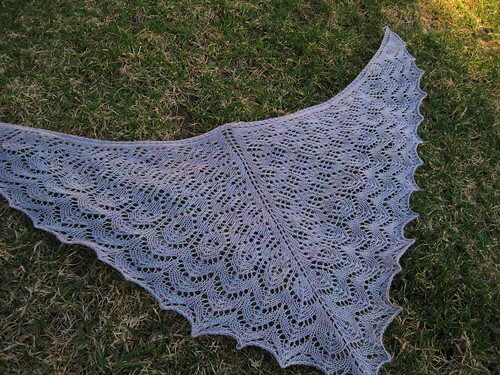 And, even though I had designed a couple shawls since then, I hadn't finished the pattern for that original shawl design! 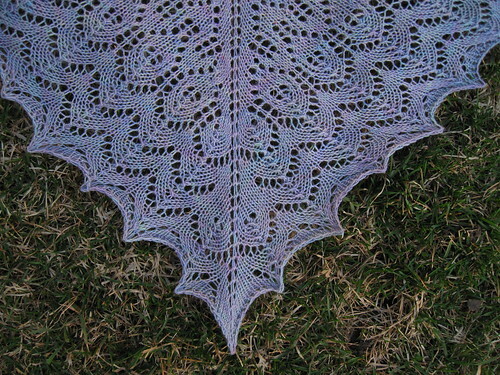 But now, after months of it sitting off to the side, I finally took the time to get the pattern all written up and pretty and ready for all of you lace knitters out there. The pattern has both written instructions and charts. 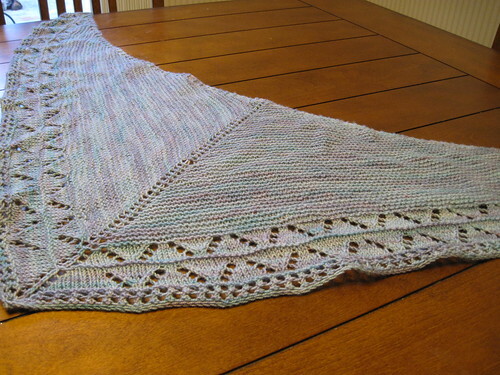 And, really, while she shawl might look tricky, it's only a 10 stitch repeat and all the wrong side rows are just purling back. Nothing too terribly hard. The pattern is now available on Ravelry! I am so excited about this latest addition to my pattern shop! The pattern is available for $6.00 and can be purchased through Ravelry or by clicking the "Buy Now" button below. Yes, I have yet another book to review. This time it's Sweet Baby Crochet. I have to say, there are some cute things in here. The book is basically full of patterns, which include sweaters, hats, booties and blankets. I think all of the patterns have a nice classic look to them. Nothing in there looks very contemporary. I think if I was a better crocheter, I would make a couple things in this book. I really like that little sweater on the cover, and a couple of the blankets are cute too. So, if you like to crochet baby items and you like that classic kind of look, I would recommend this book to you. Sweet Baby Crochet is available on Amazon. The current price is $10.19. Think you might like my review copy? Just leave me a comment between now and 11/17 at 5pm Central Time and I will draw a random winner from all the comments. Please just leave a link to your blog or your Ravelry name or something so I know how to contact you if you win! Note: I received this book for review. For more info, please see my disclosure policy here. On Saturday, I attended a baby shower for my high school friend, Lindsay. She blogs over here. She is a professional photographer and her pics are the best I've seen for weddings. Which is why we hired her to be our wedding photographer (but I digress)! Anyway, she was in town for her baby shower, she knows of my obsessive knitting habit, so how could I not knit something for that little baby boy cooking in her belly? 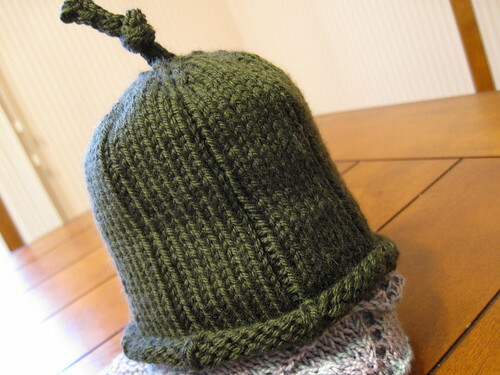 I knit one of my very fav patterns for babies: the umbilical cord hat. 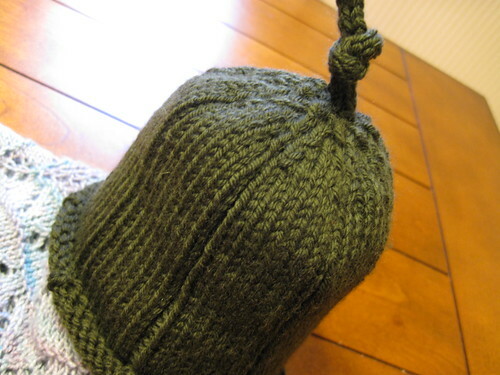 (rav link) It's a quick knit, you can use just about any yarn, and the result is just adorable! 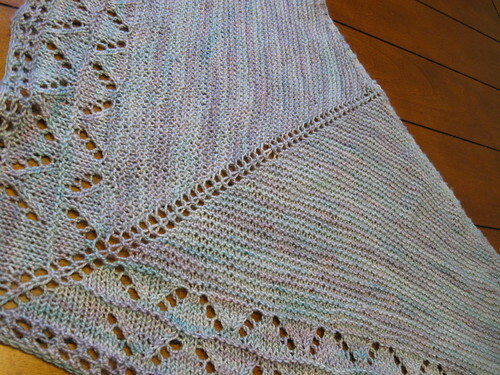 I used some Debbie Bliss Cashmerino Aran for this one. I love that yarn. So soft and warm. Perfect for a wee baby's head. 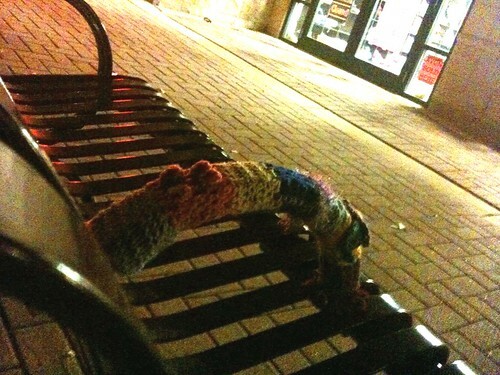 A Yarn Bomb! A Yarn Bomb! On Friday, I ventured over to Fuzzy Wuzzy Yarns in Arlington Heights for their one year anniversary party. It was a super great time. I don't think you can go wrong with fun knitters and crocheters to hang out with, some pizza, wine, and a little knitting. I mentioned a few weeks ago that I was teaching a class at a local yarn store in my area. 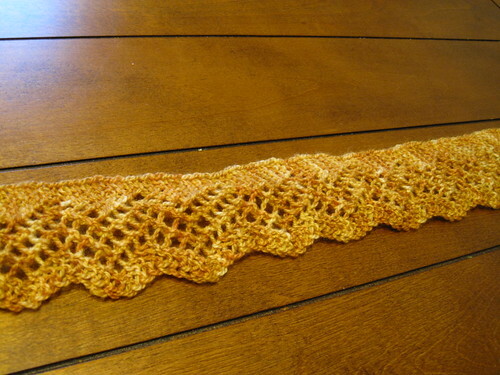 Well, after the second round of the class in October, I finally got my Carefree Shawl done: It's the third one of the pattern I have knit, and I think this one might be my fav. I really love dyeing the pale yarns. I don't do it an awful lot, but every time I get a pretty one like this, it makes me want to go for the pastels more. 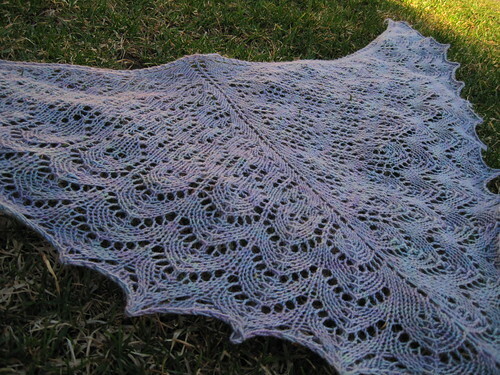 Want your own Carefree shawl? 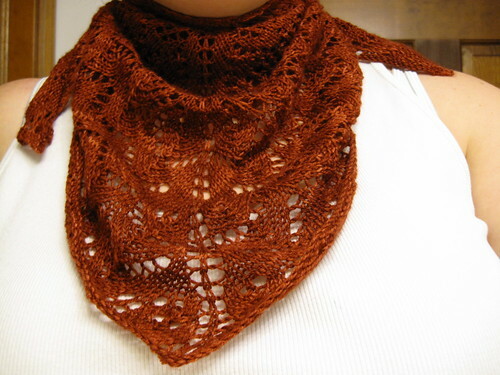 The pattern is available on Ravelry, or you can just click on the "Buy Now" Button below. The pattern price is $6.00. This week I have another book to review. 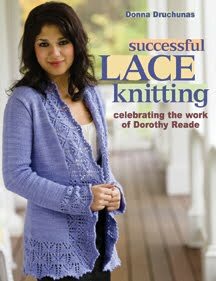 This time it's the book "Successful Lace Knitting." "Discover techniques and patterns by Dorothy Reade, arguably the mother of modern lace knitting, and learn of her significant impact on the way knitting instructions are charted. Included are more than 20 designs by top designers such as Annie Modesitt, Jackie Erickson-Schweitzer, and Evelyn A. Clark." The book starts out with a little info on Dorothy Reade, who she was and her knitting. In this section I especially enjoyed the pics of her swatches. They are so pretty! 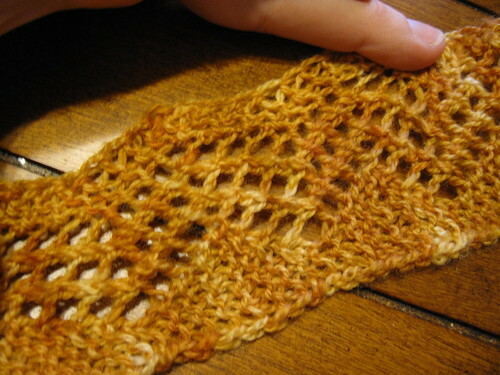 After that, the book goes into lace knitting techniques, which includes some info on knitting symbols and reading charts. From there, the book goes into the patterns. These patterns are from a wide array of designers. I think there are lots of good patterns in this book. There are shawls/stoles, sweaters, socks, blankets, and a toddler sweater. I think my favs are the (Rav links) Handspun Medallion Stole, Copper Queen Beaded Stole and Day & Night: Toddler Cardigan & Blanket. I could see myself knitting at least five things (if not more) in this book. For me, that is a book worth buying! 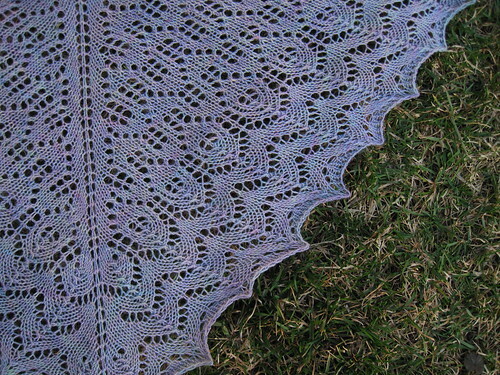 So, if you like knitting lace and you especially love a good lace chart, then I recommend you get this book. This book is available on Amazon. The current price there is $19.79. Read any good knitting books lately? Note: I received this book as a review copy. For more information, please see my disclosure policy here.